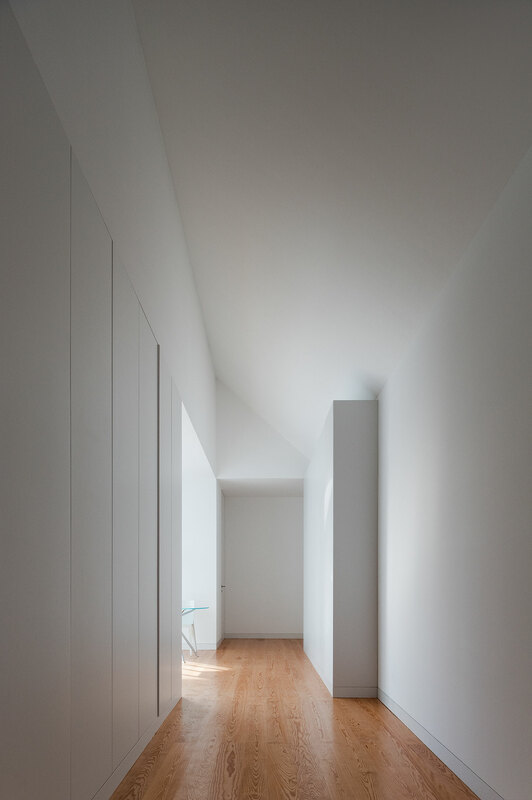 Photo © FG+SG – Fernando Guerra. 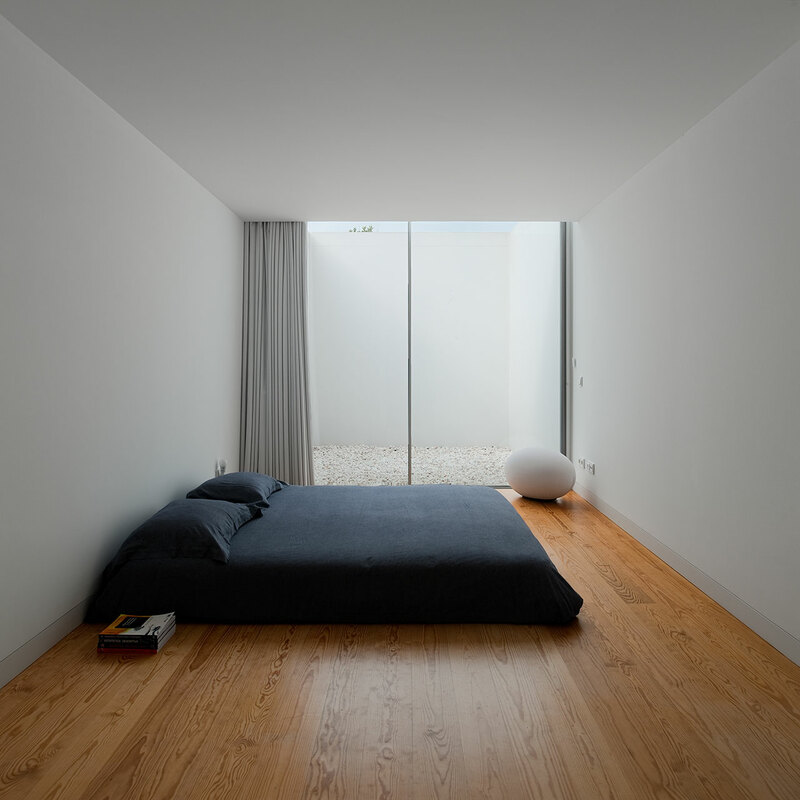 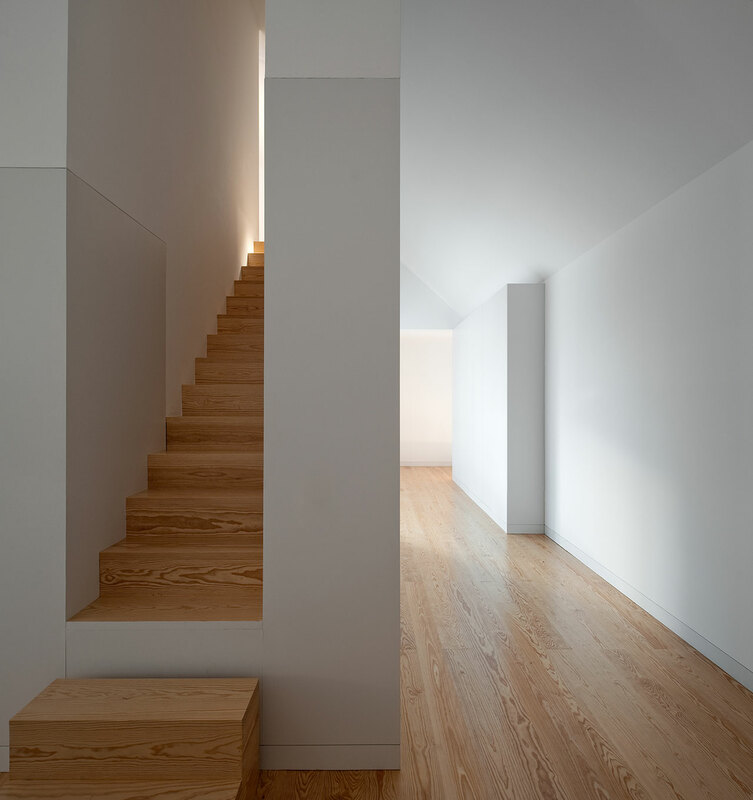 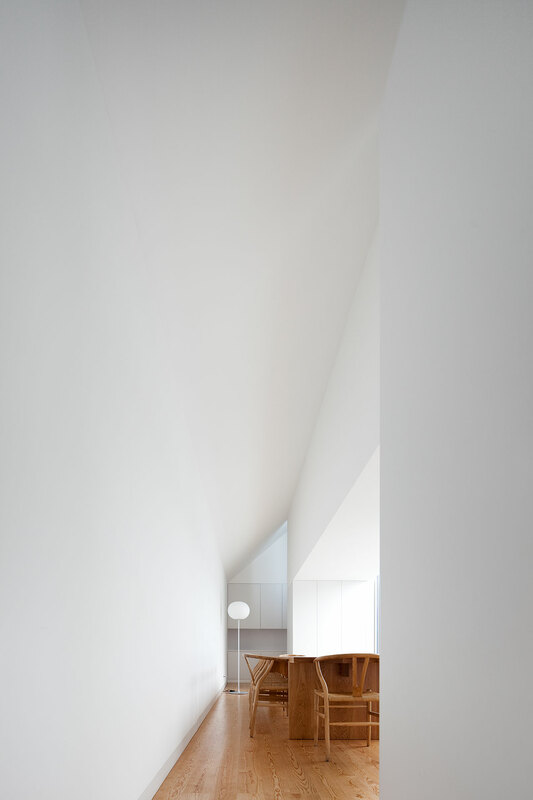 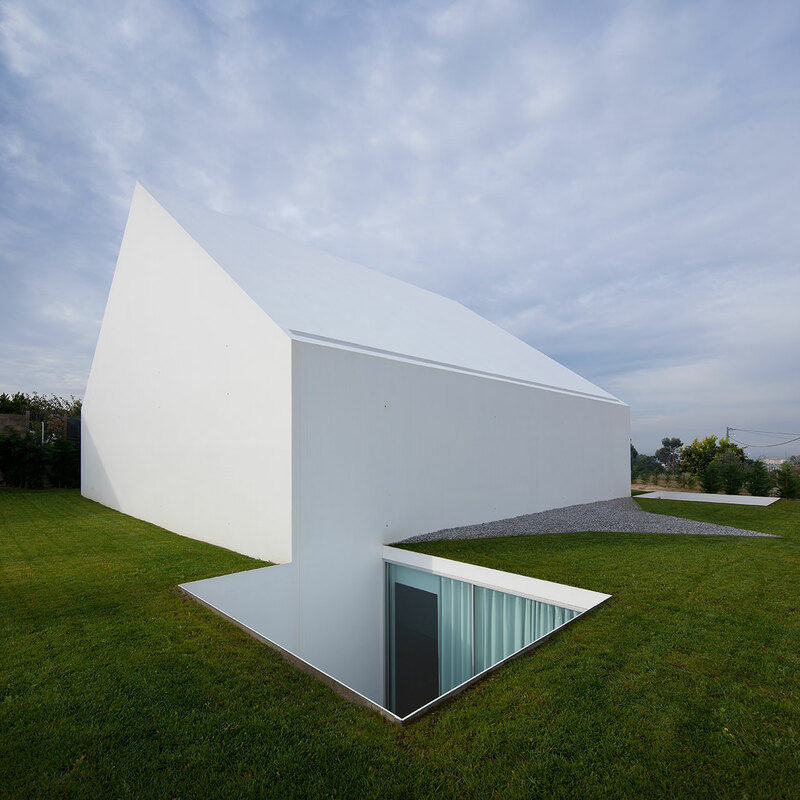 There’s more than meets the eye in this deceivingly simple house on a hill overlooking the city of Leiria, Portugal, by Aires Mateus Architects. 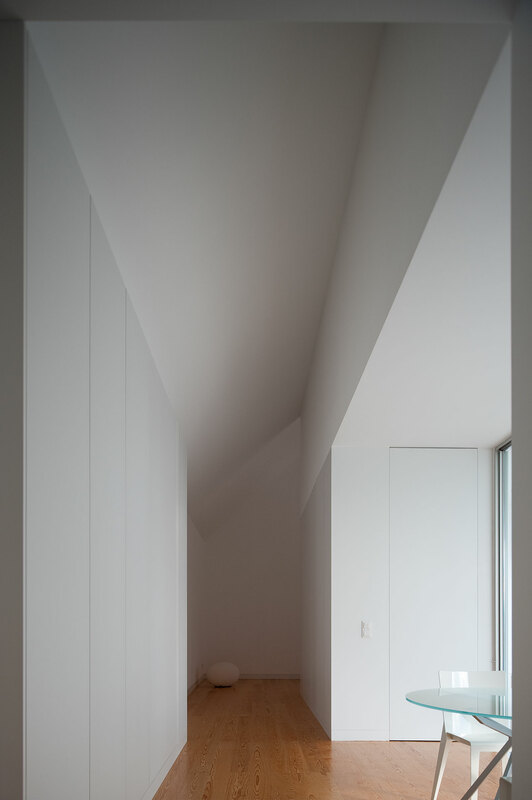 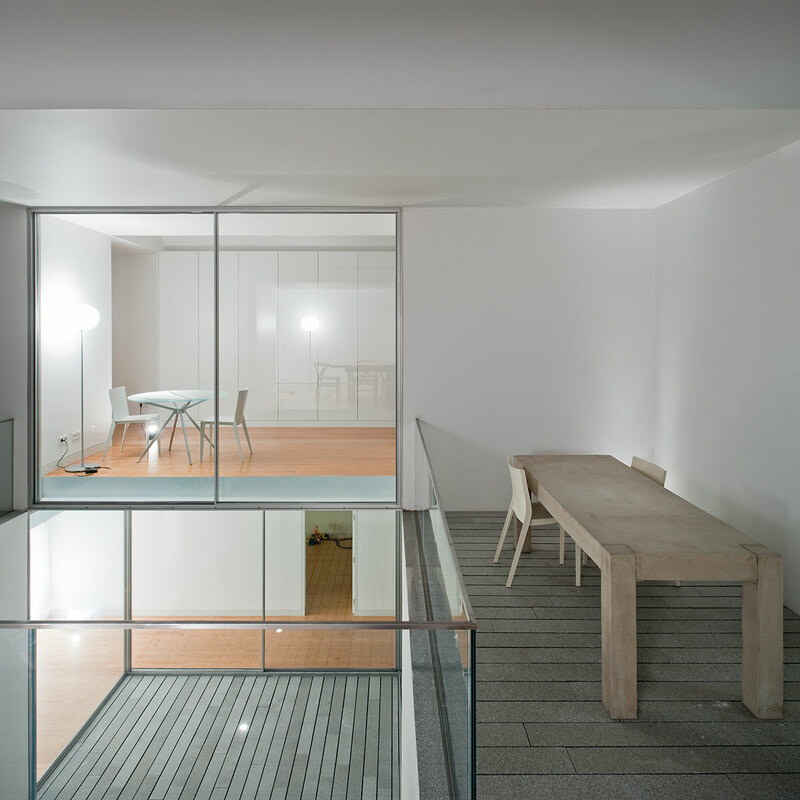 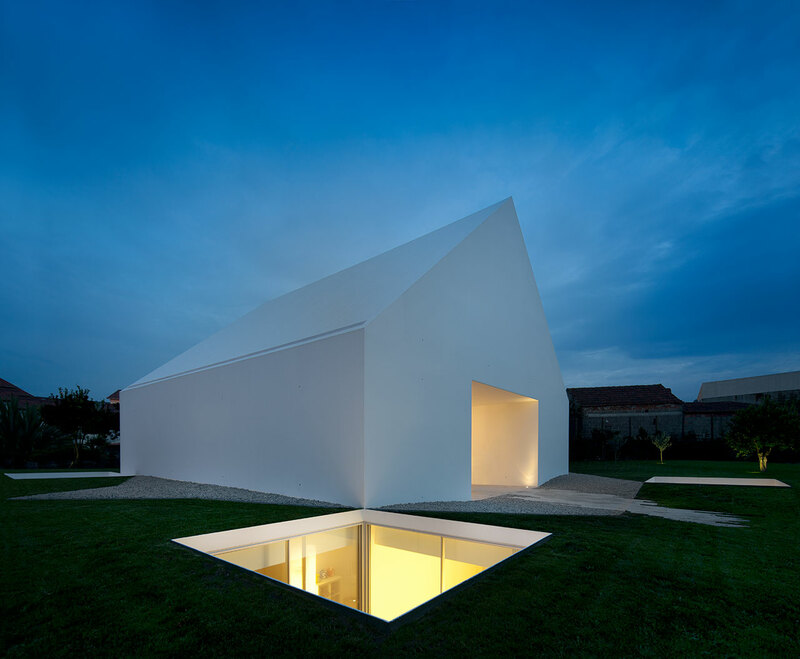 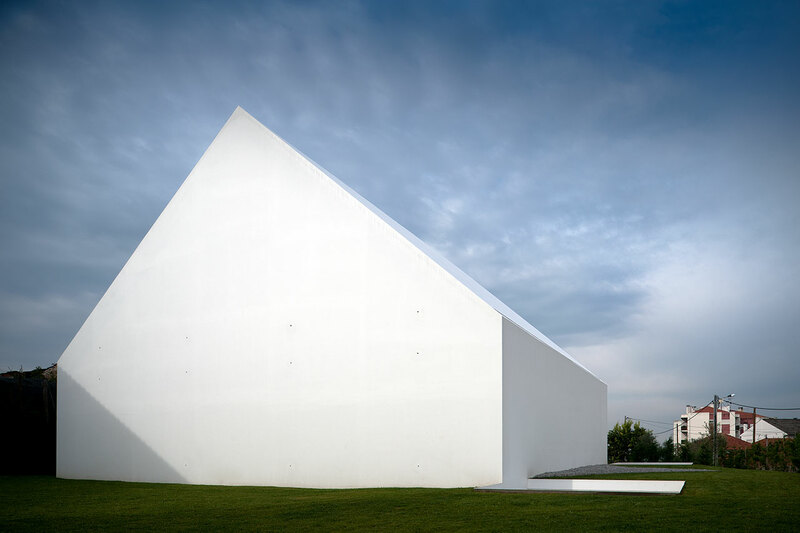 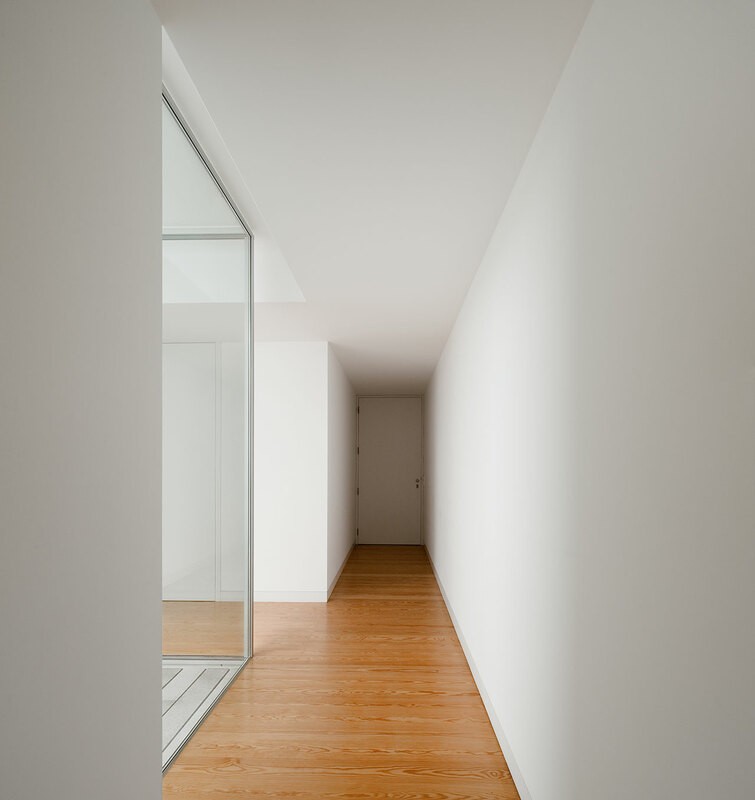 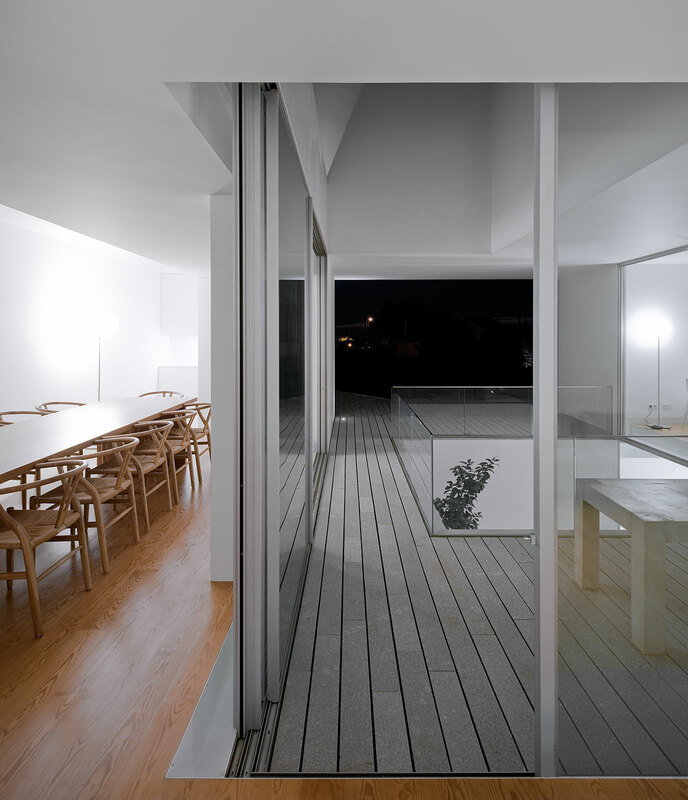 The building’s whitewashed, minimal exterior bears the signature of Francisco and Manuel Aires Mateus, two architects known for their love for geometry and their compositional sensibility, especially as seen in the way they balance out an interplay of solid volumes and voids in their designs. 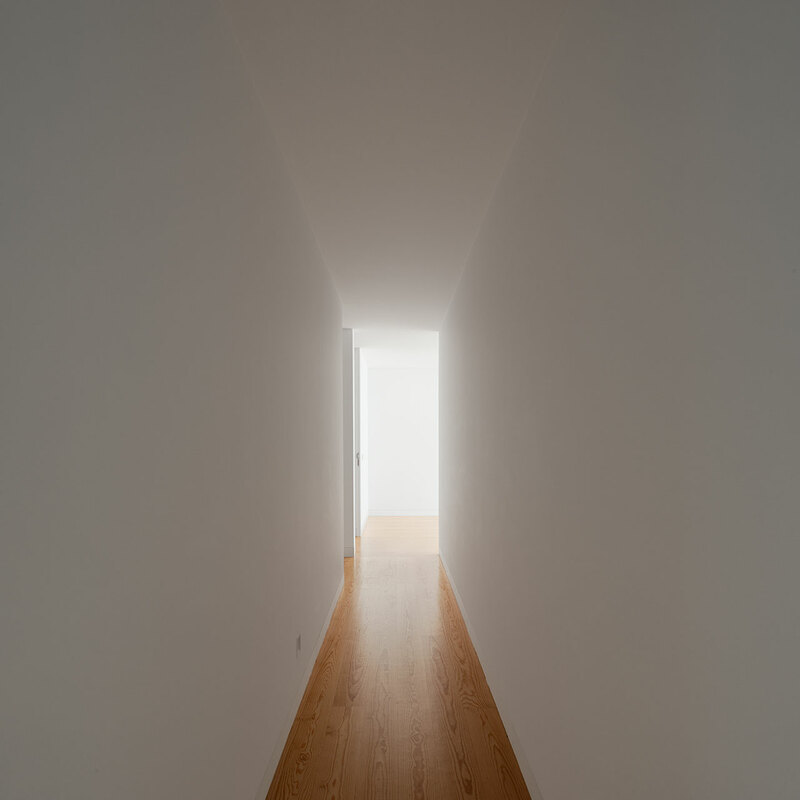 As a matter of fact, their participation in the 2016 Venice Architecture Biennale was an exhibition titled VOIDS, which was a study on the many ways architects can carve out spaces - hailed as one of the most beautiful pavilions at the Biennale this year. 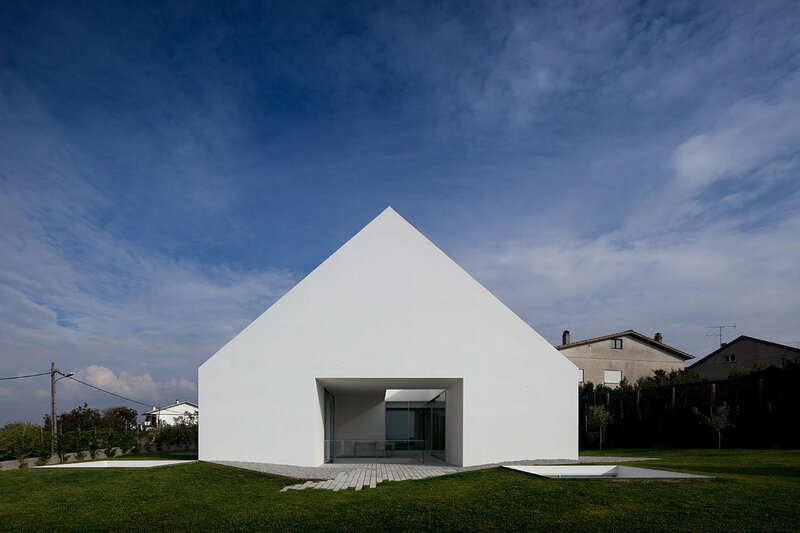 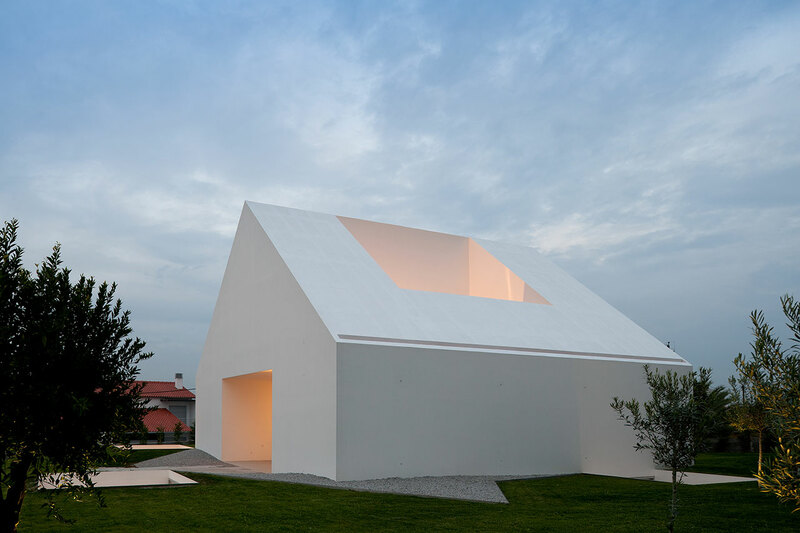 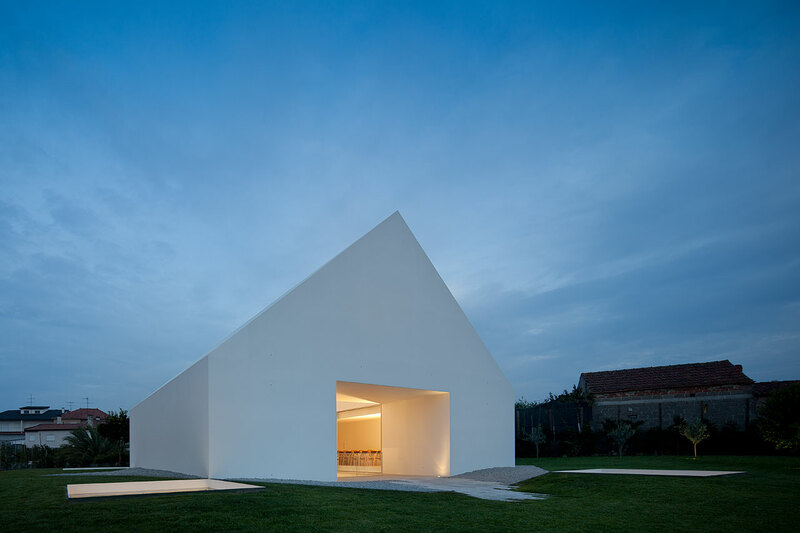 With is simple, archetypal form of a gabled-roof house, the House in Leiria project is a bit of a conundrum at first sight, due to its complete lack of doors or windows. 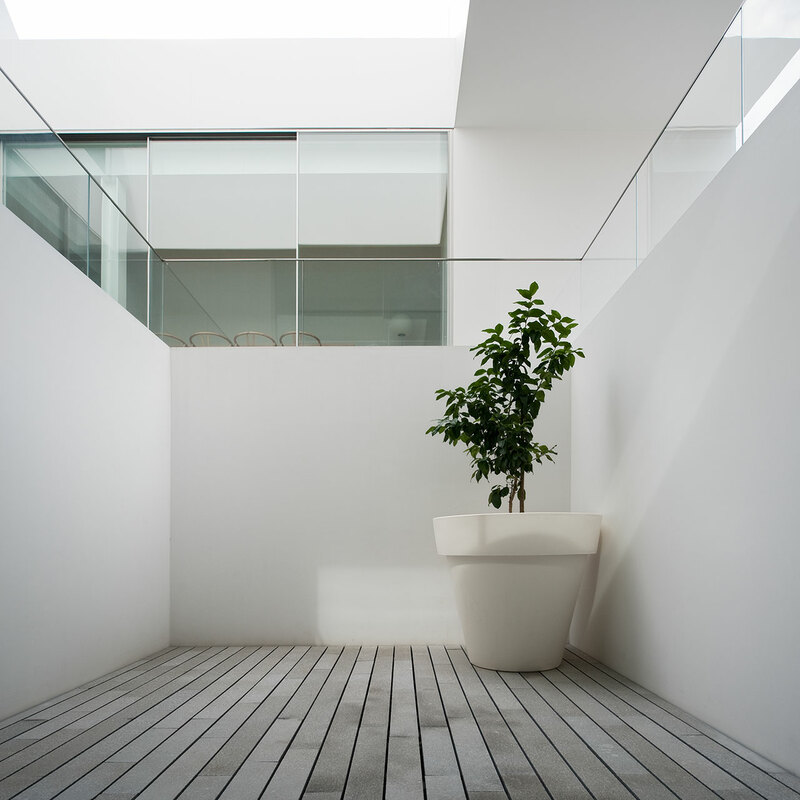 The secret is that the house is mainly built underground, with three sunken private courtyards acting as light wells for the bedrooms. 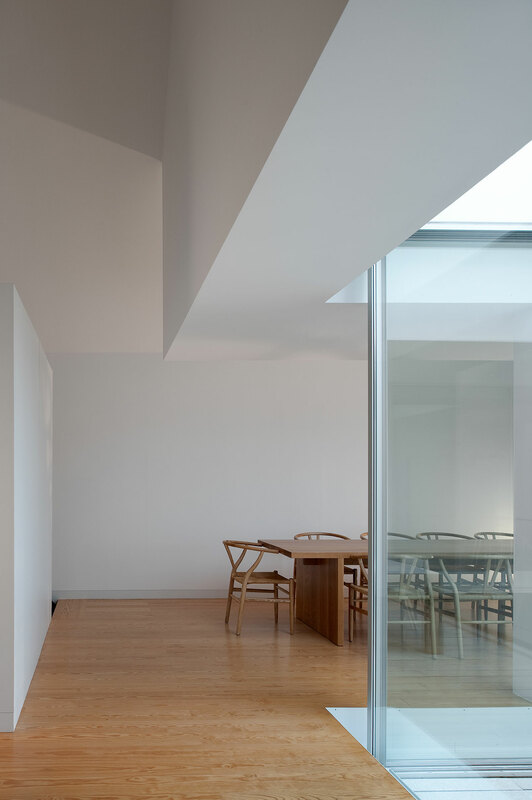 A large opening cuts through the house’s roof and goes all the way down to the lower level, thus bringing even more light into the living areas and the central courtyard, around which all the other spaces are organised. 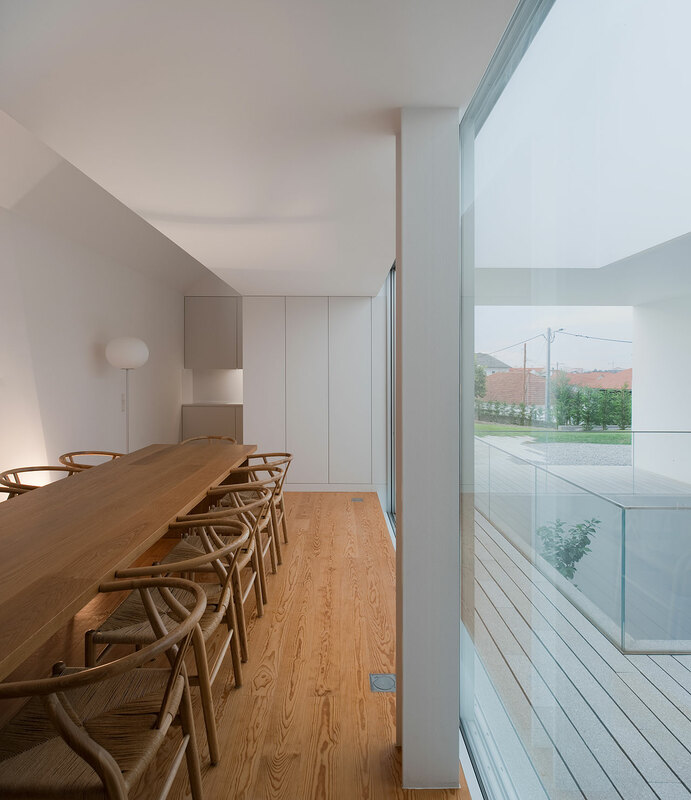 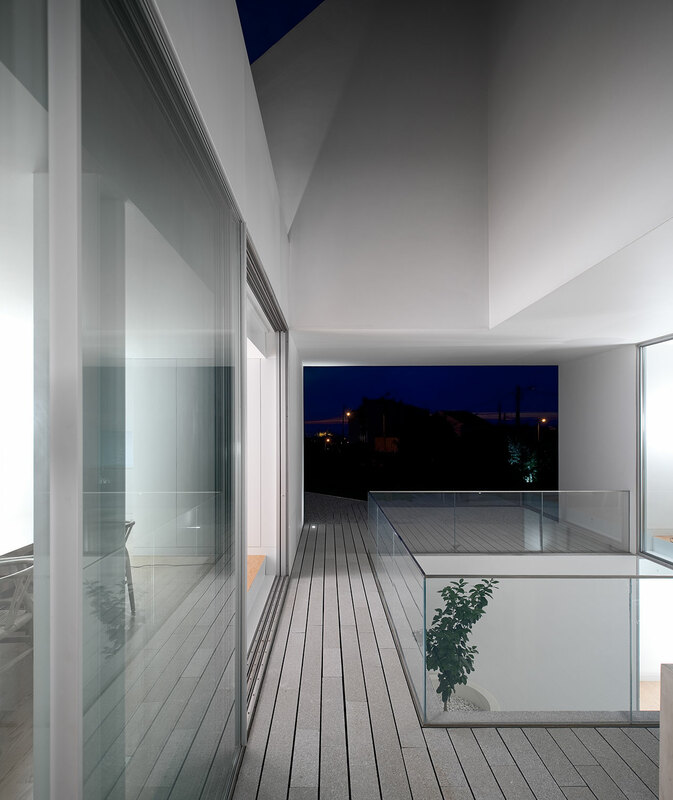 Playful, sophisticated and making efficient use of natural light and space, the House in Leiria is a perfect example of Aires Mateus Architects’ philosophy put into action. 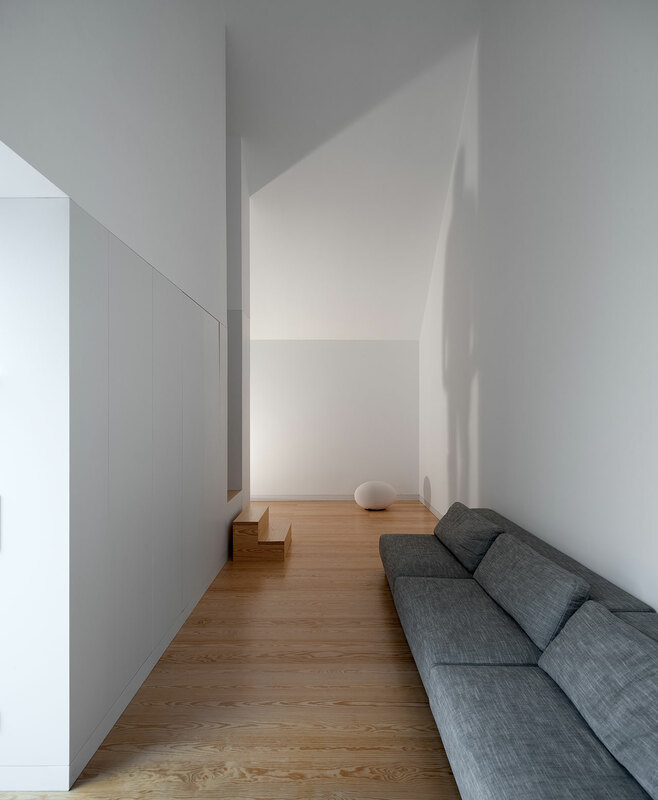 The seemingly chaotic interplay between levels and rooms adds variety to the plain-white interior, offering ample options for space configuration and zoning. 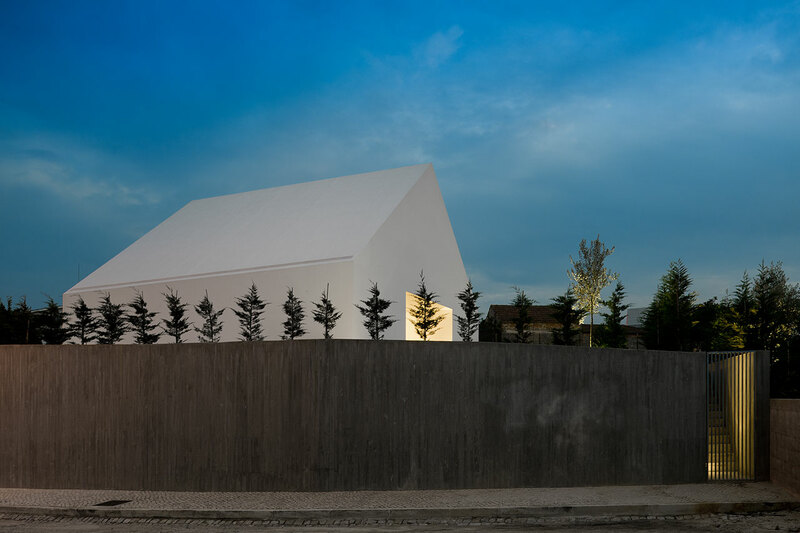 While it looks like a monument from the outside, the house’s interior is like a protected cocoon that provides the necessary privacy and protection without compromising its connection with the environment and the city beyond. 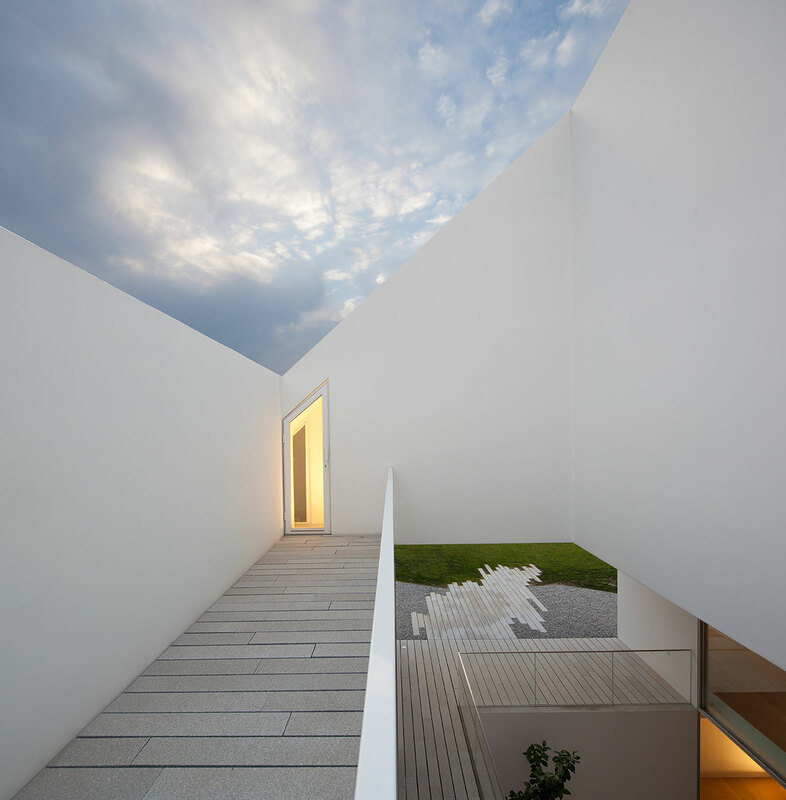 A large opening cuts through the house’s roof, bringing more light into the living areas and the central courtyard.